I’ve been trying out and playing with how different glitter & makeup looks, as well as becoming constantly frustrated with my wardrobe and having to make things. In frustration, comes madness. I try and make my madness beautiful. Naturalistic model FireflyReign decides to climb/balance on some trees in this new gallery. 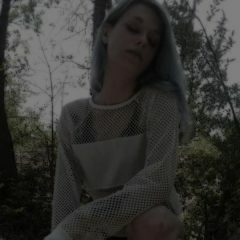 Photographed by Michael Goetz at a Beautiful Isle Waterway in New Orleans, model/poet Karen St. Claire shares thoughts and images that are important to her. My birthday weekend, something to do, climb some trees & photos. I may not have had the best camera on this, but I had fun and liked how they turned out. There is a strange magic in the warm autumn woods. 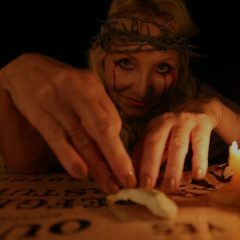 As the spirits gather round, to take possession of the planchette placement, the message of pondering inquiry becomes crystal clear. This photo gallery is decomposed of several photographs taken at Bowden Road. Known as Demons Road, it is located within minutes of The Walls, Texas State Penitentiary, which is the notorious death penalty capitol of The United States. At the end of Demon’s Road is the reputed haunted Martha Chapel Cemetery. 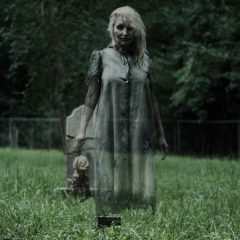 Some of the gallery photos are taken in the cemetery itself… others are on the dirt road. The photographer is Jalen Traylor. 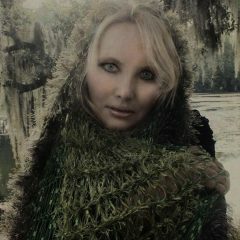 The model is VAMPLIFIED recording artist, Karen St. Claire. This is the Thomas Hager (photographer) Series. Most of the photo shoot was on location at a desolate island in Florida and we did a few studio shots. 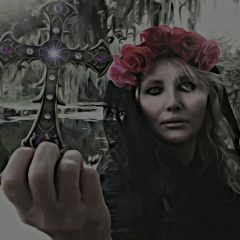 I made this gallery to add to my portfolio presentation for Darkest Goth Magazine and to honor the photographers work. 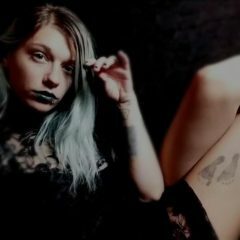 My name is Lady Chapell and I have a gallery with Raven Moonlight- Alt Model (2018 Spokesmodel of DarkestGoth Magazine) joining with me. 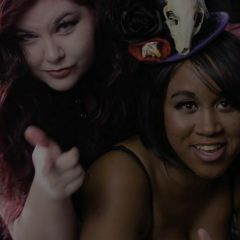 In this shoot, Goth Viking Photography took pictures of us being silly, being serious, and being ourselves. We had the music blasting in the background and we were just dancing on the bed having a good time. I just adore her and the shoot was super relaxing. Thank you both for this opportunity.